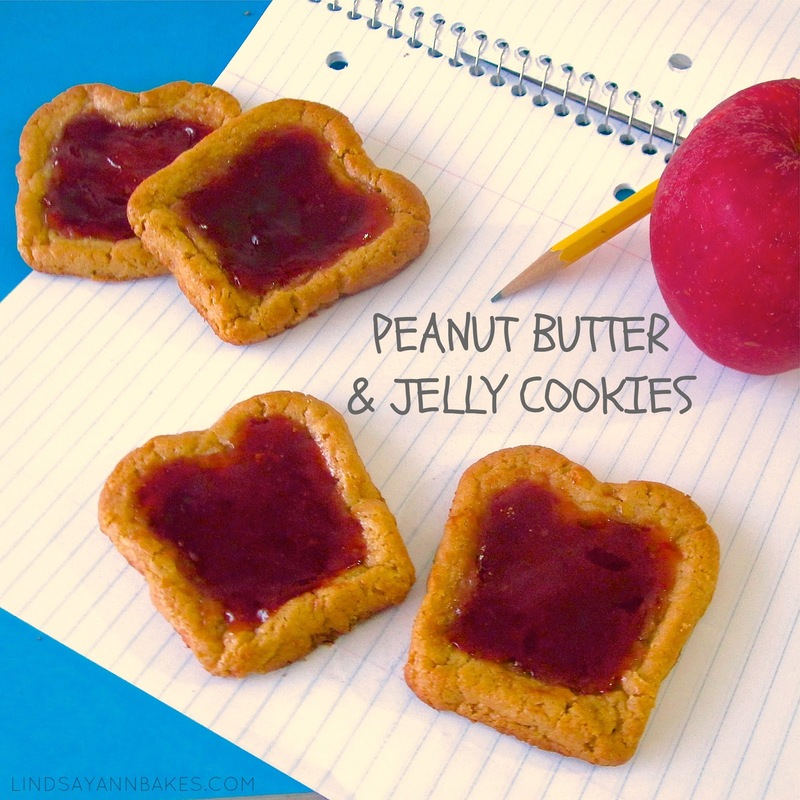 These peanut butter and jelly cookies are perfect for back to school or an afternoon snack! After making my pb&j cupcakes, I just had to create this nostalgic combination in the form of a cookie. I just shaped some peanut butter cookie dough to look like a slice of bread and baked a mound a jelly right on top! Get creative and make your own custom sandwich combinations! Try adding a spread of cream cheese, nutella, honey, or your own favorite! Preheat oven and prepare peanut butter cookie dough* as directed (homemade or store bought are both fine to use). Chill dough in the refrigerator until firm enough to mold into the "slice of bread" shape. Place tablespoons full of dough onto cookie sheet, about 1-2 inches apart. Using your fingers, press ball of dough into a flattened square shape. Proceed to create the shape of a slice of bread. 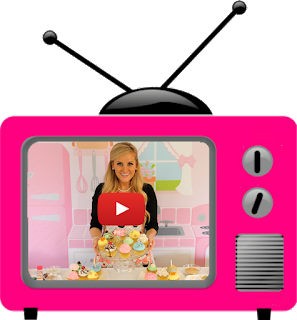 Using your thumb, press down to create an indention in the center of each cookie. *If your child has a peanut allergy, you can customize your cookies to fit their dietary needs by substituting sugar cookie dough for peanut butter cookie dough, and still achieve the whimsical look of these little sandwich cookies. Spoon about 1/2-1 teaspoon of jelly into the indented area of each cookie, leaving a "crust" as a border around the perimeter. Bake as directed, or until cookies are set. Remove from oven and place on a wire rack to cool. If cookies have spread too much and have lost their shape during baking, you can press the sides of the cookie back into place with the edge of a knife or flat utensil. Make sure you do this while the cookies are hot, right out of the oven, before they have a chance to set and harden.